Which Popular Pool Shape is Right for Your Yard? Find the pool shape that works best with your landscape. 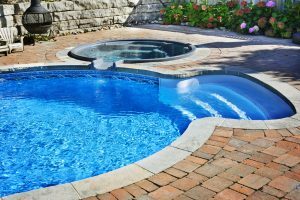 If you are ready to install a beautiful new pool in your yard, there are many different designs available for you to choose from. Here are the most popular types of pool shapes to help guide your swimming pool design. Infinity pools are an elegant and incredibly popular swimming pool design. They are dramatic and make it appear as if your pool fades right into the horizon. Water in your pool actually flows over the wall, into a trough, and recycled back into the pool. If you have a beautiful landscape to show off outside of your home, infinity pools are a great choice to showcase it. 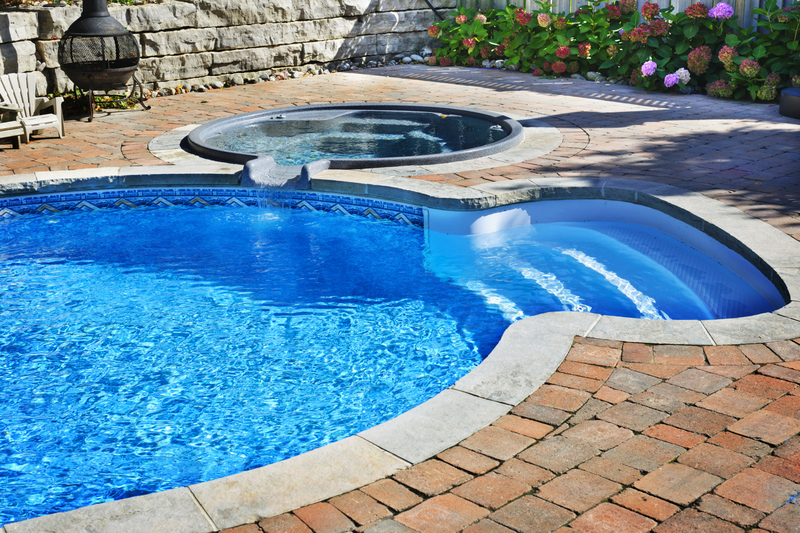 While classic might sound boring, classic rectangular pools or lap pools have been popular swimming pool designs for so long for a great reason. The simple design allows for many different creative accents. They can also fit a wide variety of backyard or side yard sizes. If you love to actually swim in your pool, this shape makes for a great lap pool for some early morning swimming. These pools can be just about any shape! They work beautifully in yards or homes that have very rustic, tropical, or natural settings since they are designed to mimic the natural flow of water. Their organic shape is ideal for decorating with lots lush landscaping and creative hardscaping. Geometric pools can be L-shaped or the shape of just about any block in Tetris. They work well with contemporary or modern homes and landscaping styles and are a great way to have a pool that feels sleek and modern, instead of family-friendly and rustic. Whether you want to upgrade your swimming pool cleaning system or get a beautifully-installed pool in your yard, Paradise Pools can complete the job. We have the expertise to walk you through every step of the process and ensure that you end up with a pool you can’t wait to take a dip in. Ready to get started designing the perfect pool for your home? Trust us with the job and be swimming in no time! For more information, contact us online or give us a call at (301) 725-0005. To get more fun pool design ideas, follow us on Facebook, Twitter, Pinterest, Google+, and Houzz. This entry was posted on Friday, March 17th, 2017 at 10:23 am. Both comments and pings are currently closed.